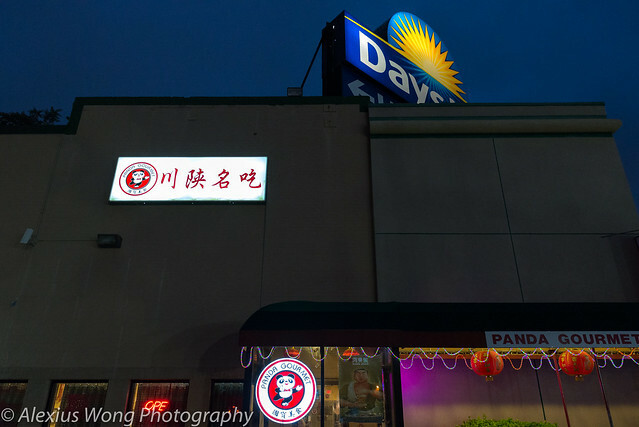 For some time, I had been reading and hearing about a Chinese restaurant in a most improbable place, inside a Days Inn motel on the busy gateway of the New York Ave. and Bladensburg Rd. intersection. I had passed by it a number of times on my way to town, but I was quick to dismiss it due to its name (akin to a Chinese fast-food chain) and its suspect location. But my Thai-Chinese doctor assured me, as well some online reviews, that it was the real deal serving authentic Mainland Chinese dishes that I shouldn’t overlook. So, after getting over my reluctance and convincing my usual Friday-dinner group, we stepped into Panda Gourmet‘s doors to savor its offerings. Coming from the Maryland suburbs was not as tough getting there unlike the convoluted U-turn one has to maneuver from the direction of downtown DC (by the Moonie’s Washington Times). Parking was not an issue there since it is located within a hotel which was a huge relief for this reviewer who is weary from parking battles that DC has lately become known for. Looking at its rather confounding menu, typical of many Chinese restaurants, I managed to pick a few dishes that were based on some reviewers’ recommendations. The first appetizer was Xian Sandwich with Pork, which was destined for my roomie who couldn’t make it to dinner. When I got home, he was graceful enough to allow me to take a few bites of it. I quickly fell in love with this meat package. 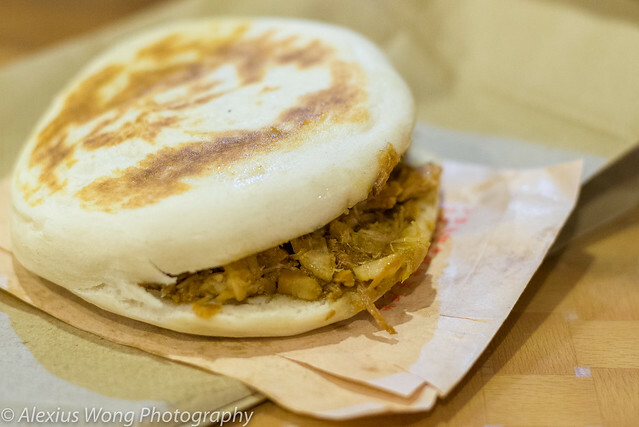 The bun was an interesting combination of a semi-hard crust with a rather spongy dough under it, coupling the shredded pork stuffing that reminded me of a long-smoked chopped barbecue. The meat mixture was extremely savory with the right amount of saltiness and a hint of cumin rubbed on the exterior. If weren’t for tasting it after my meal, I would have begged for more of this wonderful small bite. The other was Lamb Skewers that came with many online recommendations. 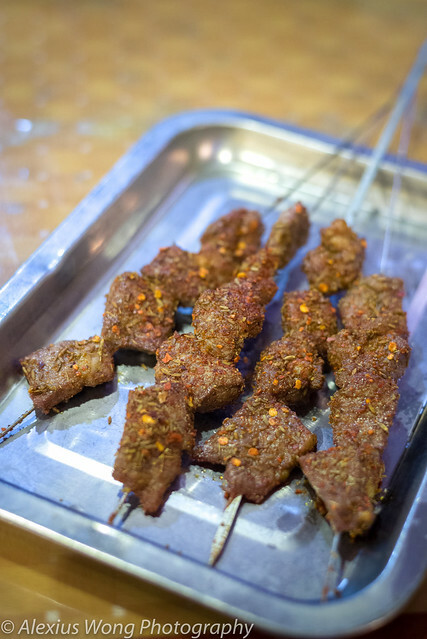 The 4 skewers landed with rather generous chunks of meat attached to them. One bite revealed fairly tender meat that was not overcooked and they lacked the gaminess usually associated with that meat. The seasoning of crushed chili peppers and whole cumin seeds elevated these bites to something that was both savory and enticing, delicious enough for the dinner party to do a reprise of this dish close to the end of the meal. The establishment is known for Szechuan and Xian dishes of which I focused my eyes on from the menu. 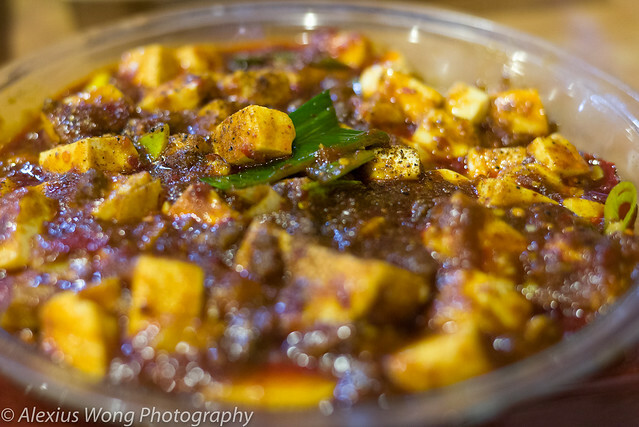 Ma Po Tofu with Beef was an order used as a litmus test of this cuisine. The fiery red dish arrived with nuggets of tofu studded in between with bits of minced beef hidden among the whole mix. One mouthful was a bit overwhelming at first. It was quite salty from the heavy use of bean sauce, and spicy from the chili oil and Szechuan peppercorn powder, evidenced by their presence on the white tofu. The silken tofu provided some relief from the salt and spice, as well as the white rice that should be mixed with the main course, hence its over seasoning. The minced beef was lost in the mix partially due its small pieces and the lack of its amount. I was hoping for some textural contrast like green peas that I had savored in versions from other establishments. Despite the above flaws, I appreciated the dish after picking through the pieces, and I was yearning for more spice heat as well as the numbing effect of the Szechuan peppercorn. Not bad. A spicy dish recommended by online reviewers was Chicken in Spicy Garlic Sauce. The dish was brimming with pieces of chicken breast, snow peas, celery, broccoli, mushroom, wood fungus, and bamboo shoot. The first taste of the dish raised my eyebrows due to the sauce that was an interesting combination of chili oil and garlic, tasting sour from vinegar and sweet from sugar. The sauce flavor was quite prominent and the sweet-sour element nearly overwhelmed the nuances of the mild chicken meat and the crunchy but perfectly cooked vegetables. But then, I was reminded of the nature of Szechuan cuisine that is bold in flavors, which this dish is up the alley, including the pool of red spicy oil which my parents complained about Mainland Chinese cooking during their travels. To appease a fellow dining companion, we ordered a couple of non-spicy dishes, in addition to balancing out the whole meal without bludgeoning our palates with spice. The first was a newly added dish on the menu – Shanghai Bok Choy and Winter Mushrooms. 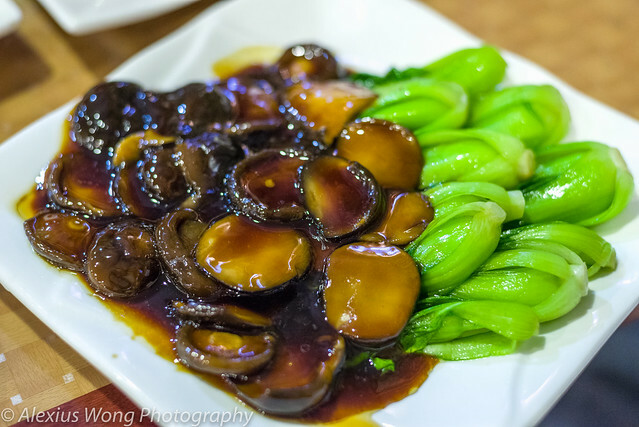 The dish arrived with halved bright-green baby bok choy accompanied by a pool of whole Chinese mushrooms covered with a dark sauce. The vegetables were perfectly cooked and I was appreciating their fresh quality. But it was the mushrooms that stole my attention with the woodsy notes and slippery consistency, an indication of them reconstituted and cooked properly to give a luxurious mouthfeel. The sauce had hints of oyster sauce that is a classic match in Chinese cuisine. As a respite from the chili heat, this was a perfect vegetarian dish. Another fellow dinner wanted to take some reign on ordering the dishes, and he chose Shrimp with Mixed Vegetables since he is fond of that seafood and is always trying to add more vegetables to the mix. 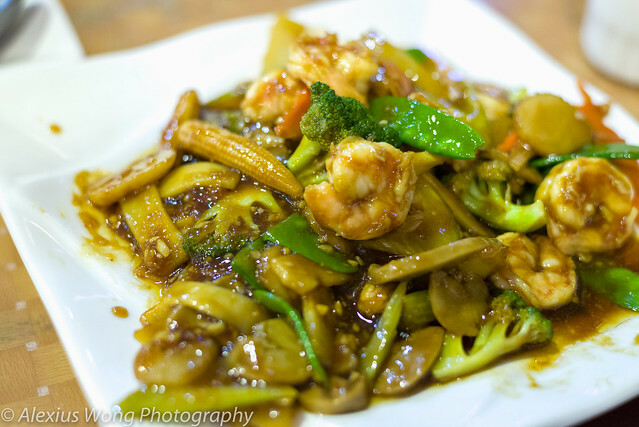 The shrimp was accompanied by the usual Chinese mix of vegetables: broccoli, celery, carrots, baby corn, snow pea, bamboo shoot, and water chestnut. It was a colorful and multi-textural mix despite the rather pedestrian brown sauce that coated the dish. Even with the ingredients cooked just right, there really was not much to write home about, or in this, in this blog. Meh, just not bad. Panda Gourmet is not for everyone, especially those who are not familiar with Chinese cuisine from the Mainland. Sometimes, one has to apply some degree of cultural relativism when approaching certain ethnic cuisine, or in this case, gastronomic relativism, and with this angle, I evaluated what I ordered at this eatery. The pork sandwich and lamb skewers were the perfect appetizers, even for the fussy or critical eater. The Ma Po Tofu, Bok Choy and Mushroom, and the Spicy Garlic Chicken scored high in my books with their authentic approach despite the nearly overwhelming sauces and slightly oiliness, which come with the culinary territory. 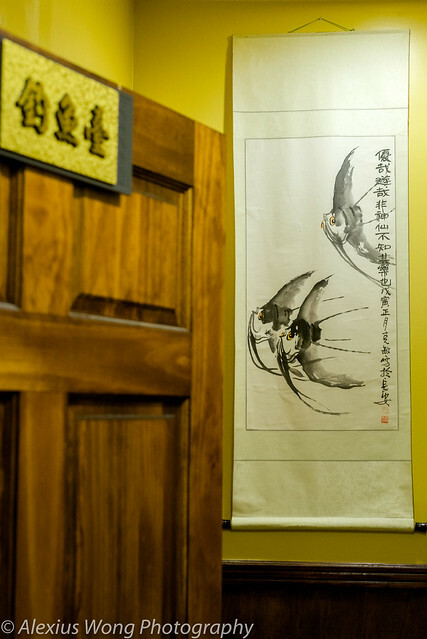 Looking at their daunting menu, I realize that there are most veritable dishes to explore, offering some “funky” dishes with frog, tendon, tripe, and many dishes served on the Mainland. 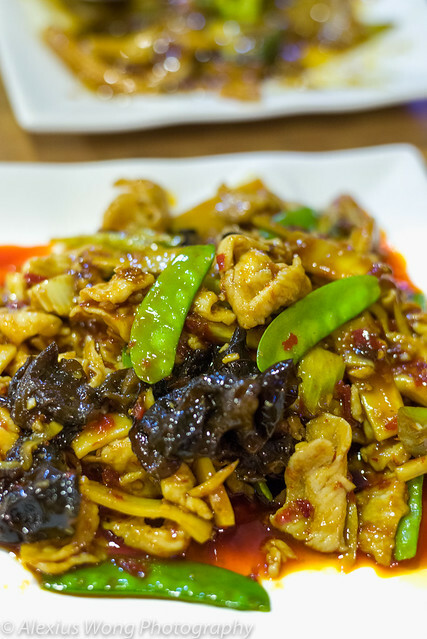 This is a joint worth venturing into, and you may discover dishes not found in your usual carry-out, some to your liking, and some rather challenging.